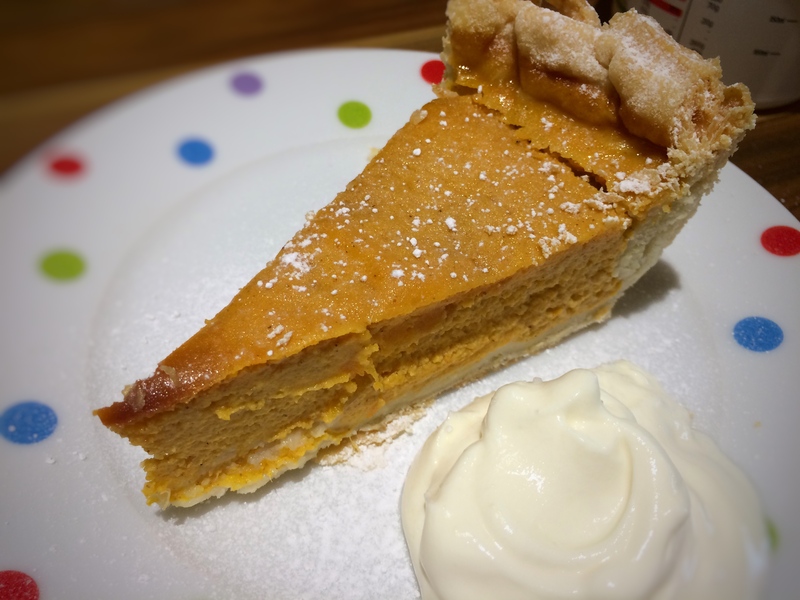 Pumpkin Pie, the well-known American dessert is particularly popular this time of year (i.e. around the Thanksgiving holiday). Here in Britain, besides being used to carve Halloween lanterns, pumpkins are only used to produce the odd pumpkin-spiced lattes. 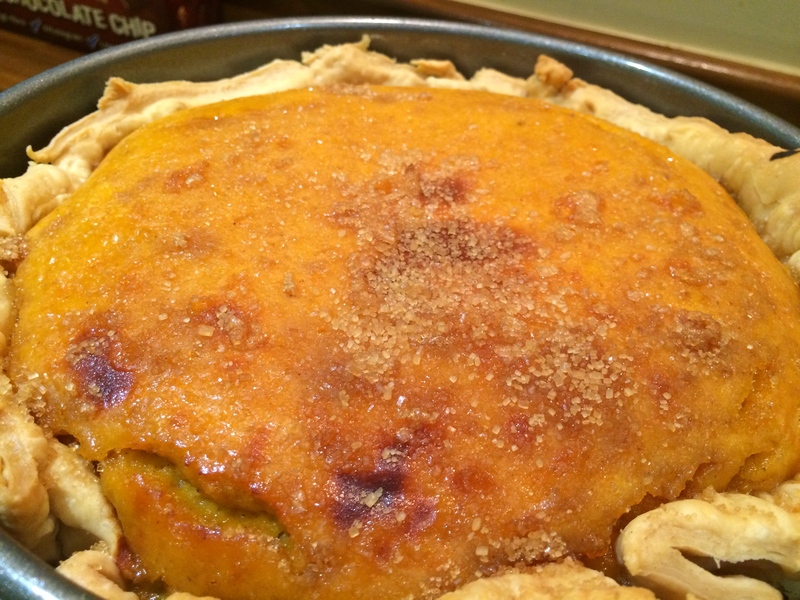 We do however have the much more readily available butternut squash, cousin to the pumpkin. The recipe comfortably makes enough to serve 12 portions. Pre-heat the oven to 180ºC. 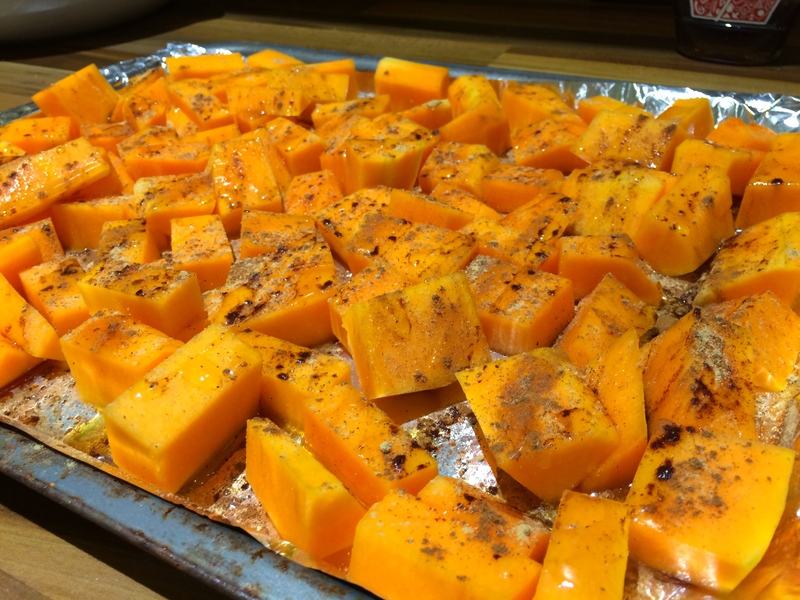 Chop the butternut squash into manageable pieces (we found 4 or 5 large slices easiest). Remove the skin and chop into bite-size pieces, discarding the seeds. Line a large baking tray with tin foil and tip the butternut squash pieces onto this. Drizzle with the maple syrup, olive oil and half of each of the ground ginger, cinnamon and nutmeg. Cover with another sheet of tinfoil, so the squash is effectively sealed in a tin foil packet, then bake in the oven for 45 minutes. While the squash is cooking, roll out your pastry to the thickness of a pound coin and carefully line a large loose-bottomed cake tin. Prick the bottom with a fork and then cover with a piece of greaseproof paper and pour in some baking beans. Bake blind in the oven for 20 minutes. Remove the greaseproof paper and baking beans and bake for a further 10 minutes to crisp up the pastry base further. Once the squash has had it’s time, remove from the oven, leave to cool for a couple of minutes and then blitz in a food processor (including all the liquid that will have formed). In a large mixing bowl, beat the eggs, add the cream, sugar and the remaining ground ginger, cinnamon and nutmeg. 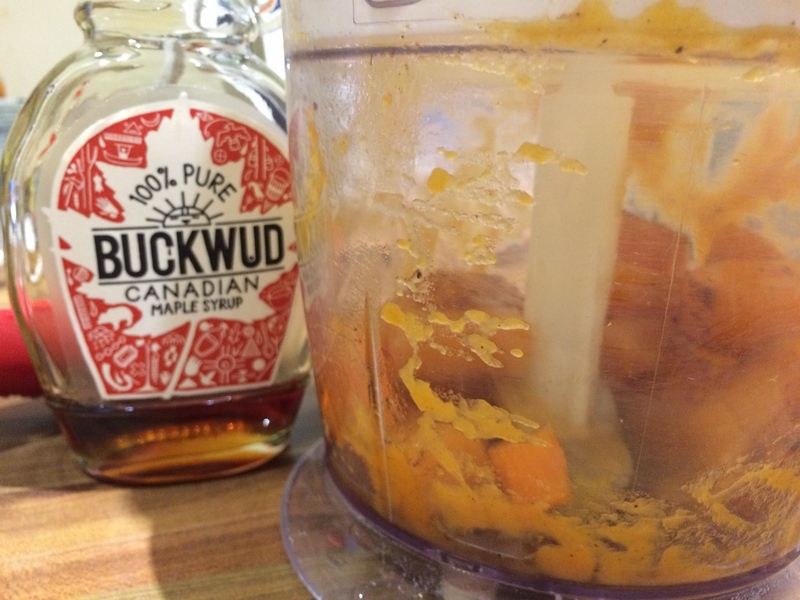 The blitzed squash should be just warm to touch, then add this and combine together. Pour into the pastry base and cook at 180ºC for a further 1 hour – 1 hour 15 minutes (depending on depth of pie). You will know the pie is cooked when the filling has risen slightly and is beginning to get colour on top. 10 minutes before you take it out the oven, sprinkle with the Demerara sugar for a crunchy topping. Prod the pie with a skewer and if it comes out clean, the pie is cooked. When removing from the oven notice the ‘inner-thigh wobble’ it produces – this is important as shows the pie has not been overcooked. Leave to cool for 10 minuets before removing the pie from the cake tin. Serve the first portions warm with creme fraiche. The pie will keep in a sealed container in the fridge for a further couple of days (if it’s not eaten first).